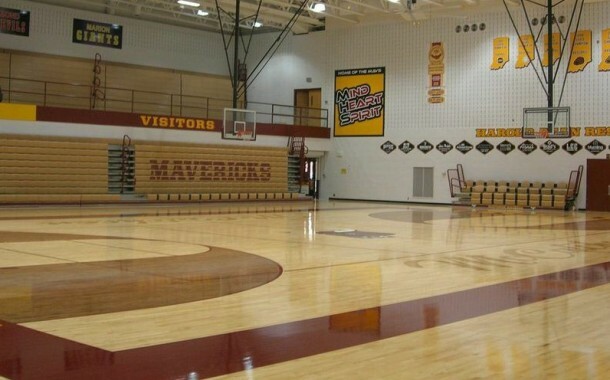 McCutcheon High School Gym Renovation « Davis & Associates, Inc.
Davis & Associates served as the General Contractor for the gymnasium renovation at McCutcheon High School located in Lafayette, IN. The renovations involved updates to the existing gymnasium space in which the existing wood floor was replaced with new graphics; added bleachers and light fixtures were replaced. The walls and ceiling were also painted.